The peace-talk interlocutor between Centre and the Bodo rebel outfit, NDFB (P) AB Mathur has said that the Central government has not given any promise to any group to constitute a Union Territory for the Bodo dominated areas in Assam. 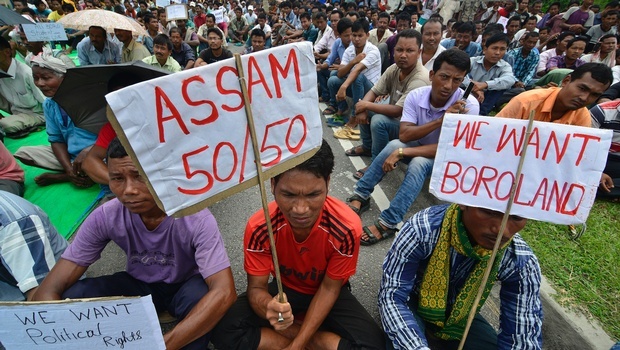 The comments come amid strong protests by some non-Bodo organisations in Assam’s Bodoland Territorial Area Districts (BTAD) region against any such move. “It is absolutely wrong. No promise has been given to anyone,” Mathur told a news agency in New Delhi on Sunday. Mathur said he did not have any formal meeting with any delegation of the All Bodo Students’ Union (ABSU) in the recent past. “Two-three leaders of the ABSU came to see me four days ago. It was not a formal meeting. I did not give any promise to them. All news about the Union Territory is absolutely wrong,” he said. Director General (Special Branch) of the Assam Police Pallav Bhattacharjee said all speculation about the Union Territory for the BTAD was completely wrong. “There is no question of giving any promise to any group on constitution of a Union Territory for the BTAD,” he said. Several non-Bodo organisations including Koch Rajbongshi Sanmilani, Aboro Suraksha Samiti, AKRSU have called for an ‘Assam bandh’ on November 19 against the reported move of the Central government.